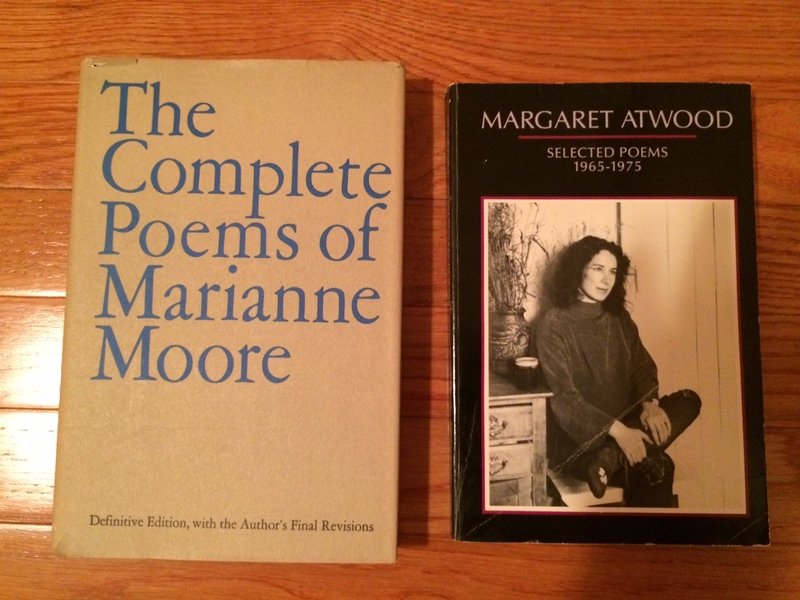 I had wonderful luck at a bookstore yesterday, finding The Complete Poems of Marianne Moore and Margaret Atwood’s Selected Poems (1965-1975), which is particularly excellent because I already had the companion volume, and wondered if I’d ever come across the first volume in the wild. Marianne Moore is one of America’s most revered poets, but I am afraid that my knowledge of her work is quite limited, so I’m happy to have the chance to puzzle over some of her very fine poetry. Her images are deep and complex, and her subjects often begin with animals, as in “The Paper Nautilus,” the poem I’m thinking about this week. At first I thought that the animal in question was a variety of nautilus, but the reference to “eight arms” tipped me off that it’s a type of octopus, named after its egg case, which Moore so beautifully describes. That was just the first of many surprises in a poem that turns and undulates like the argonaut underwater. “The Paper Nautilus” is a fascinating, multi-layered poem that I feel I’m just beginning to get a feel for. I hope you’ll tell me what you think. Margaret Atwood is always a score!